He actually had some really, really good points, and so I want to share them with you. The first one that he said is, “Your business should be predictable. Your business should be predictable. You should be able to have a pretty good idea of the revenue that’s coming in, the leads that are coming in, who you’re going to be working with that week, what you’re going to be doing that month, the overall yearly income, it should be predictable. You should also be able to predict what your team is going to be doing, how they’re going to be helping support you, and who they’re going to be working with in a given time. You should be able to plan out what your business looks like. You should not go into your business going, ‘Man, I wonder what’s going to happen next month? What am I going to do? What sort of sales am I going to make?’ You should have systems in place, and a team in place so that you can have predictions.” Obviously we live in a world of chaos, but we also live in a world of order, and you should be able to set your business up as such. Your business should also be boring in the sense that it is trackable. There is nothing more boring than numbers, right, but you should be able to track what’s going on. How many leads am I generating? Who am I talking to this month? How many webinars am I doing? These are all trackable things. These are all things that you can track and improve upon. There’s a great quote, I forget who said it, but they said, “If you want to improve it, track it,” and so your business should be boring in the sense that it should be trackable. You should be able to turn a few dials, and see improvement in your business. Your business should also be boring in the sense that it’s reliable. I love exciting things, but when it comes to how the way my family sees me, I want my consistency and reliability to show up and be there for my family. To almost be boring. I want my daughter to be like, “Of course, my dad’s going to be at the game. Of course, my dad’s going to show up to my performance. Of course, my dad’s going to pick me up on time.” Right? That’s just being a good parent. Well, what about business? I want your clients, and your team to be like, “Of course, they’re going to be at the meeting on time. Of course, they’re going to deliver it their deadline.” I want you and your team to have so much reliability, and I want them to look at you and go, “Man, this guy is just, he’s consistent, reliable. He’s always going to be there when he says he’s going to be there. He’s so reliable it’s boring,” which should also be similar. When you think of exciting, you think of new, you think of these adventures, but your business should also have a similarity to it. Like when people see your posts on social media, when they see your blogs, when they see your videos, there should be a similarity to it. There should be a consistency. Yes, it might get kind of boring. Like I’ve had the same jingle on my podcast for over a year now. I love it when people sing it to me when they see me in real life. It’s funny. I love it. But it should be similar. There should be consistency, familiarity. It doesn’t need to be different every time. There’s an entrepreneur, I’m not going to call him out, there’s an entrepreneur that I’m friends with on Facebook, and he’s always trying different things with his posts. I never really know, there’s no … He’s talking about all different things. It’s just kind of really hard to peg him down for what he does. You know what I mean? But I want people to know what I do, and what I bring to the market, and I want them to look at me as somebody that is consistent, reliable, and familiar. The last thing, why your business should be boring. It should be duplicatable. It should be duplicatable. A business that’s always changing and iterating, and all these adjustments, it’s not something that people can duplicate. If you want to grow, you got to multiply. To multiply you have to duplicate. To duplicate, it has to be something that people can take. It’s got to be like a system that they can put, and they can use it for themselves. Your system, your business, one of your goals for this year should be to make your business a little bit more boring. When people say that, I hope you remember this episode, and I hope it is something that you aspire to. Make it boring. I don’t want adventure. I don’t want chaos. Well, I do want to adventure, but I don’t want chaos. I don’t want uncertainty. I don’t want the stress or anxiety of not knowing what’s coming next. Now, I want your business to be so reliable, it’s boring. I want your business to have a so many trackable things on it, and systems in place, that it’s duplicatable, and you can find out exactly what you need to do to get your business up to where you want it to go, and it should be consistent and familiar to your clients, your team, and the people that you’re serving. You guys are awesome. If you need any help with this, feel free to set up a call. 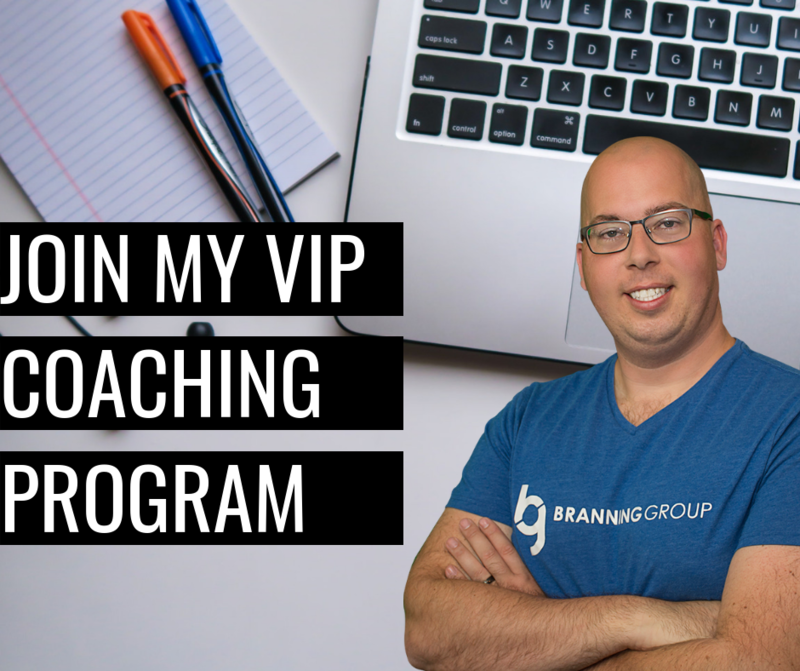 Go to alexbranning.com/call and join my VIP program. We’re diving in to making a boring business that is wildly profitable. Talk soon.